NEW COMPLETE HDD SOAR-H556 FULL AUTO/SELECT FIRE ALUMINUM LOWER RECEIVER FOR CONVERTING THE FNH SCAR 17S SEMI AUTO TO A SELECT FIRE MACHINE GUN IN 5.56MM/223 CALIBER. CHOICE OF FDE OR BLACK, SELECT IN OPTIONS BOX. COMES WITH HOGUE GRIP AND SELECT FIRE LOWER PARTS KIT INSTALLED. 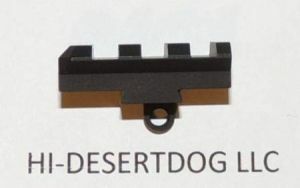 MADE FROM 7075 T6 ALUMINUM AND TYPE 3 HARD COAT ANODIZED MATTE BLACK OR FDE. THE SOAR-H556 LOWER RECEIVERS ARE THE BEST AVAILABLE FOR THE SCAR PLATFORM, ALL AR15/SCAR 16 TYPE MAGAZINES FIT AND FUNCTION PROPERLY DUE TO SUPERIOR ENGINEERING AND A QUALITY BROACH CUT MAGWELL. ALL FACTORY FNH PARTS DROP IN INCLUDING THE FACTORY FN SCAR MAG CATCH WHICH WORKS PERFECTLY IN THESE SUPERIOR ENGINEERED RECEIVERS. AFTERMARKET FULL AUTO GEISSELE TRIGGERS INSTALL AND FUNCTION PROPERLY IN THESE LOWERS. PISTOL GRIPS ARE STANDARD AR15 AND GRIP SCREW IS METRIC SO THE STANDARD FNH SPEC 5MM ALLEN WRENCH SERVICE TOOL IS USED FOR MAINTENANCE, WE USE THE METRIC GRIP SCREW BECAUSE THIS IS WHAT THE PROFESSIONALS PREFER. THESE WERE DESIGNED WITH PROFESSIONAL USE IN MIND, HAVE A ENLARGED TRIGGER GUARD AREA FOR WINTER MITTS AND ALSO HAS A ENLARGED MAG CATCH FENCE FOR WINTER MITTS. THESE FIT TIGHT TO THE UPPER RECEIVER AND USE AR15/SCAR16 MAGAZINES INCLUDING X15 50RND DRUMS AND BETA C-MAG 100RND DRUMS. 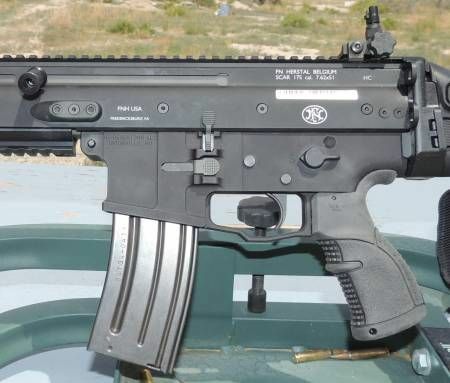 YOU WILL NEED A 556 BARREL ASSEMBLY AND A 556/17 BOLT ASSEMBLY TO COMPLETE THIS CONVERSION, ALSO AVAILABLE HERE.